Being a mom is one of the most difficult jobs I have ever held--and the conveniences and influences of our modern society make it even tougher. I was interested in reading Chimene Shipley Dupler's thoughts on motherhood and faith in her book, The High Calling of Motherhood. What is my review of this book? I received a complimentary ARC of this book for use in my review. All opinions are my own. Quick Summary of The High Calling of Motherhood by Chimene Shipley Dupler. Does motherhood matter? Have we lost our sense of identity, especially through social media, which can pour both accolades and acid into our hearts and minds? Does our role as a mother have any lasting purpose? What about the hard stuff? Do we self-medicate more than we self-motivate to fight for our families? If we don't have a sense of purpose, how will our children? Chimene Shipley Dupler believes you are created for more. You are created in the image of God. You have value, significance, and purpose. You are chosen! Motherhood is a calling; a high calling from God. Chimene will equip you and give you tools for success. You are a difference maker. You are raising world changers. You are a mom! I found this book at the perfect time. Sometimes I feel that I am drawn to a book--and discover as I read it that I found just the book that I needed at the time. This was the case with this book. I seem to be increasingly questioning my parenting decisions--and my role in my own life--even though my girls are tween/teen/young adults. It was very comforting and motivating to read Chimene's words--and realize that I am not alone in my feelings and doubts. The High Calling of Motherhood is well written, conversational and motivational. The author's easy to read text blends our real world, daily struggles of motherhood and Scripture passages easily into a very conversational and motivational book. The author understands motherhood and its challenges. She offers very well formed thoughts on the underlying causes of a woman's struggles with motherhood and offers advice and solutions in both personal experiences as well as from within the Bible. Would I recommend The High Calling of Motherhood by Chimene Shipley Dupler? The concerns that the author addresses in this book commonly affect mothers of various stages of life and parenting. I found this book to be very encouraging and supportive--and offered me many points of reflection and peace. This book doesn't preach or attempt to "guilt" mothers more than they already guilt themselves for feelings and worries. It offers reminders--and support. I would recommend this book to Christian women seeking to rediscover the calling (and joys) of motherhood in spite of the world around us. This book is set to be released on May 1, 2017. Preorder The High Calling of Motherhood on Amazon. 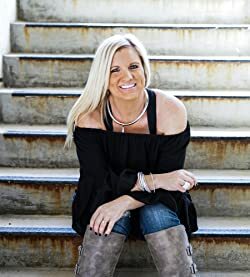 Chimene Shipley Dupler, Founder and President/CEO of Pink Polka Dot Productions and the Passion4Moms ministry, is a well-respected speaker and professional on marriage and parenting. Chimene loves the opportunity to help others achieve their goals and work through struggles to make their marriages, parenting, and life experiences fabulous. Passion4Moms continues to bless, encourage, and inspire mothers through conferences speaking engagements, and other events. Previously, Chimene worked on Capitol Hill in the United States Senate and with foster homes and residential treatment centers as a social worker. Chimene graduated from Baylor University with a B.S. in Child and Family Studies. Chimene is most proud to be living out her passion for marriage and parenting daily, endeavoring to bring God glory as a wife and mother and living life to the fullest. Chimene and her husband currently reside in Washington, DC, with their three princesses. Chimene’s greatest passion in life—being a mother!